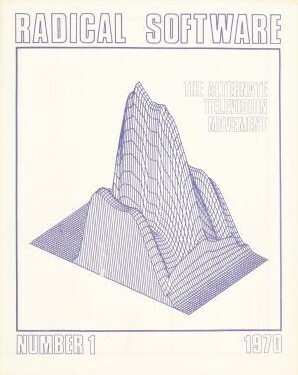 Radical Software was a journal devoted to the early independent video art movement. The founders of the publication understood the potentiality of video editing in shaping the way information is disseminated. Thanks to the modest cost of portable video devices available to artists and other potential filmmakers, they emphasised on how using video as a new art form, would become an indispensable tool in accelerating social change. Developed more like a newspaper than an art magazine, it was a platform for the study of alternatives to the dominant mass media structures. 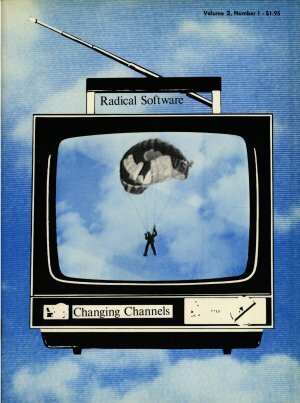 Radical software represented a form of grassroots social activism but also a platform, a magazine and a journal of philosophical speculation and political opinion. Imagine a world in which the discussion of ideas and values could take place freely and openly, outside of the existing institutional framework and in active opposition to the worldview constructed and maintained by commercial TV. They proposed not only a re-ordered power structure, but also a new information order in which the very idea of hierarchical power structure might be transformed or even eliminated.